Don’t you just love a good upcycle?! As soon as I saw this Manicure Gift in a Jar on Pinterest, I knew I had to make one for my aunt. But instead of going out and buying a mason jar, I decided to use an old candle jar I already had. Plus, it was the perfect size to fit all the pretty goodies I picked up for her. All you need to do is clean out the candle jars. 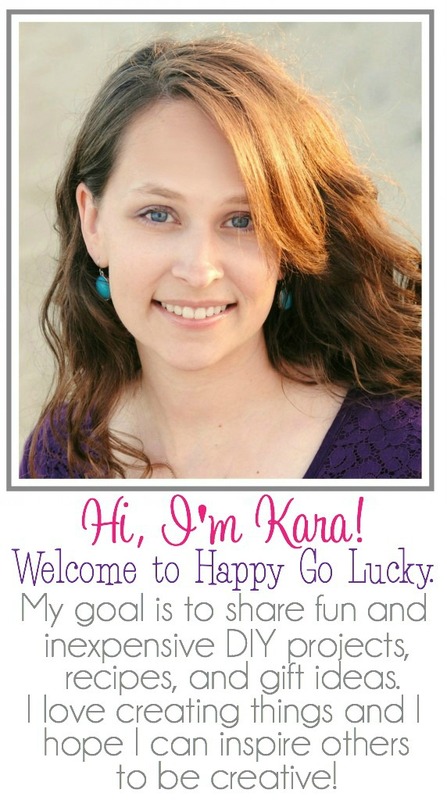 This takes a little elbow grease but it is totally worth it and doesn’t take long. Just use hot water. 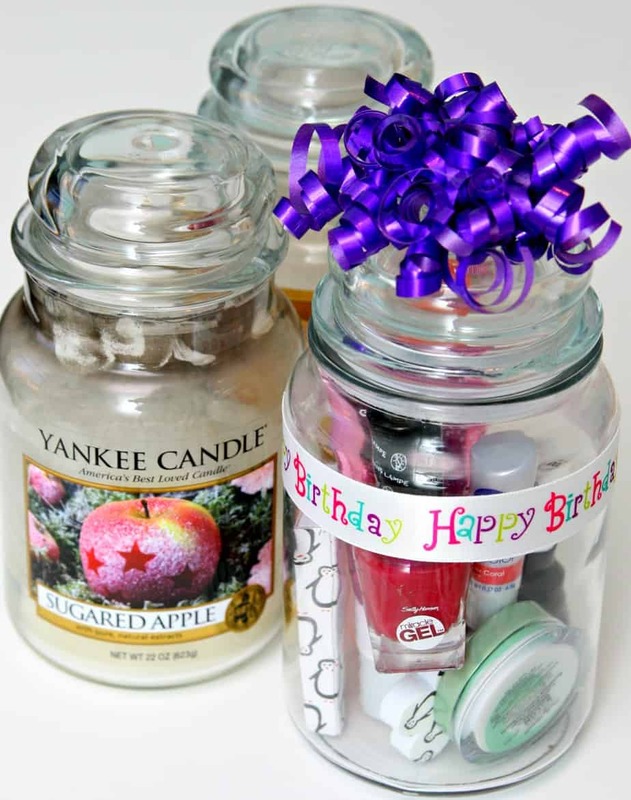 Once your jar is clean, fill it up, add some ribbon and you’ve got the perfect gift! A great gift in under 15 minutes! And you get to use up all those old candle jars. What 15 minute crafts have you created lately that use recycled materials? 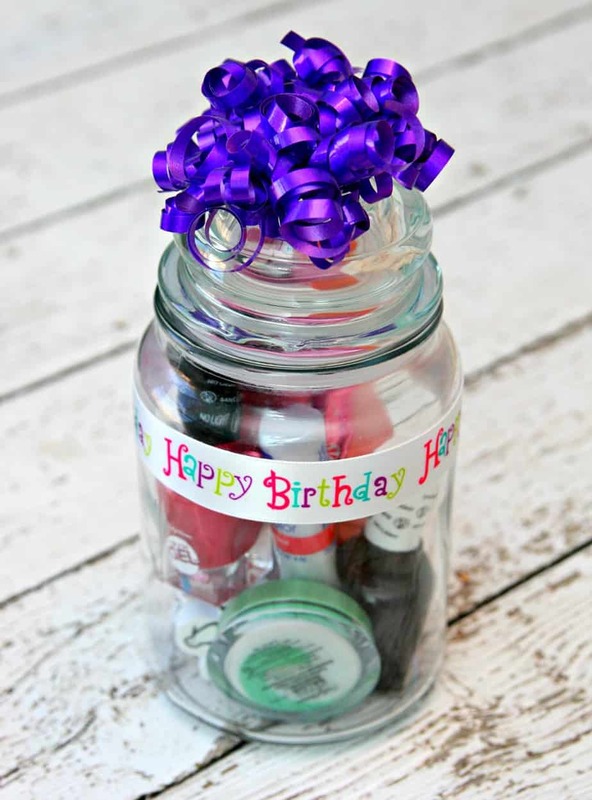 Love this gift in a jar! Thanks for joining! Such a great way to upcycle an old jar!